Starting at $49 per dashboard per month. 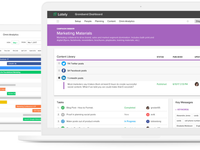 All-in-one marketing dashboard that pulls together content, project management, and analytics in one place. Pros: We are able to track the impressions from all of our media affiliates to keep abreast of what quality contents we need to share and what needs to be removed. Cons: Sometimes the engagements get a little confusing and the analytics are not always accurate. Overall: We are able to show our board of directors that we are reaching the right demographics and it help us gain sponsorship and advertisements to keep the business growing. If I could give Lately more than 5 stars I would - the customer service is remarkable. Pros: Lately listens to their customers and implements requested functionality. I love the create posts tool from long form content - just brilliant. Pros: That you can have all the content in one place and create your posts for all different channels in one place. Also that you can import content from the website, have brand message, mission, etc. all unified. A very good new social media tool. Cons: Takes a bit of time to learn how to use. Too expensive for normal solopreneurs. The basic plan allows only 5 social media accounts, while others for half the price allows 10 social media accounts. And it is true, you might not be able to do all the content creation in one place on other tools as on trylately, but still a too costly price. However, I can agree it is a tool for people already on a certain level. Wow, thank you SO much Katarina! We are super excited to have you as a Lately customer. In this is fantastic feedback about ease-of-use and pricing, two things we plan on addressing in the next few weeks. Please do keep it coming¿ It's incredibly important for us to know what you like and don't. We thank you, GREATLY! We're using Lately to effortlessly appear much larger than we really are. 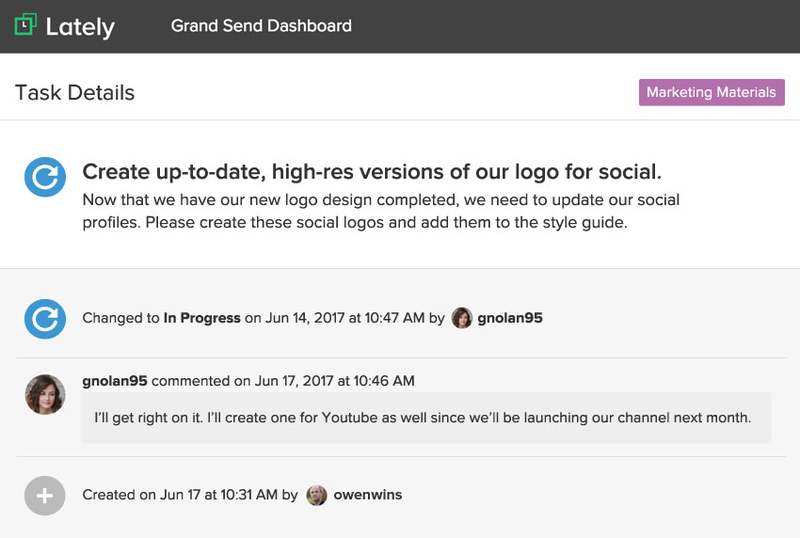 Overall: Very easy auto-creation and scheduling of content campaigns across social media and over time. Including images/graphics has dramatically boosted engagement, and re-use of content is a major timesaver. Hooray! Rich, this is truly amazing feedback. Thank you so much! We can't wait to sort out those LinkedIn hashtags for you, coming very soon, promise! THANK YOU for being such a loyal and awesome customer! streamlines marketing workflow for planning and executing projects. Pros: Can create content for different channels at the same time with long form content. Also can see posts that are posted and scheduled on the same calendar so it's easy to see the overall scope of a project at all steps. Can have control all social channels in one place instead of piecemeal of a cluster of different software. Cons: Takes a little bit of time setting up but pretty intuitive once you know where everything is. Waiting on some integrations with Instagram which would allow for direct posting (which is more of an issue of IG's API policy not Lately). Overall: For a small team, this will help us get more done in less time. It also has helped create consistency in messaging. Stella, what an incredible review, THANK YOU! You've been such a loyal customer from the start, this feedback is so helpful to us and we are looking forward to speeding up set up time and to more awesome integrations. You RULE! Thrilled to have found this platform. We are just getting started and already loving it. Pros: It is a multi-faceted tool. A dashboad, social calendar and management, google and social analytics, helps you track influencers and you can have as many users as needed. My whole team will be on-boarded to use this tool. Bonus, it is very affordable, which is especially important for small start-ups like ourselves. Cons: It is a commitment of time and energy to move our team to a new platform. The platform has a lot of functionality which requires an investment of learning. 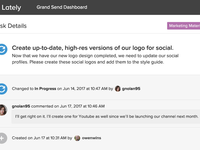 Overall: Having content for social and website in one place and having a calendar for scheduling. Excited about social posts being generated by Watson. Get to play like the big boys!